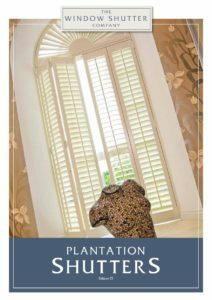 Interior plantation shutters are ideal in any room of the house but are a great addition to a bedroom. 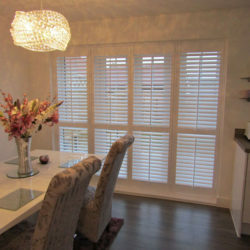 The stylish look and flexible nature of these shutters are ideally suited to creating a darkened room for sleeping but flooding the room with light in the morning whilst you ready yourself for the day ahead. 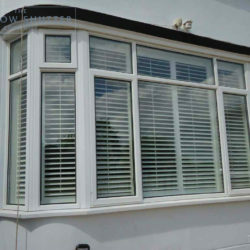 At the same time as brightening your morning, you can maintain a level of privacy by setting the louvres at an angle – ideal where neighbours could see in if the window space was left completely clear. 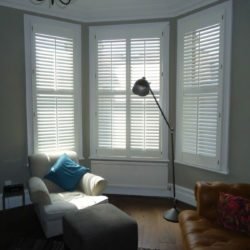 The ability to let natural light into the room whilst maintaining privacy is not possible with curtains and the benefit of natural light, as opposed to having to turn lights on, is great to start your day. 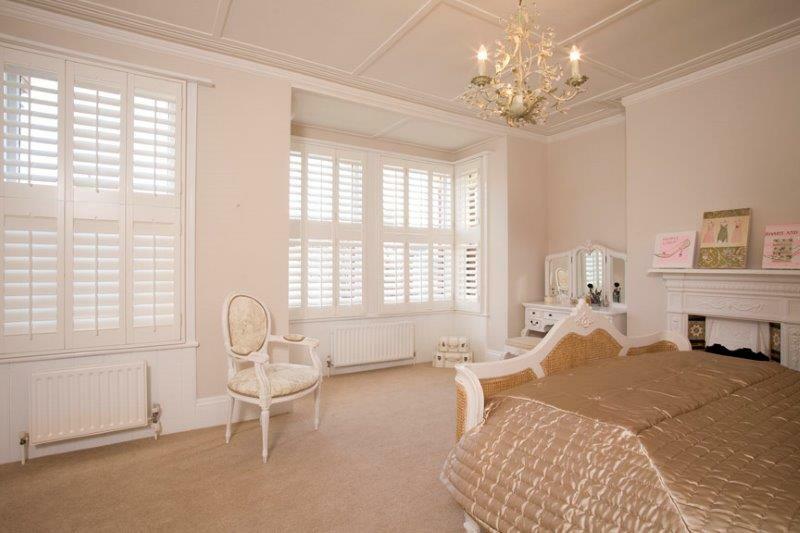 The maintenance of privacy throughout the day allows the bedroom to be used without the need to draw curtains or close blinds. 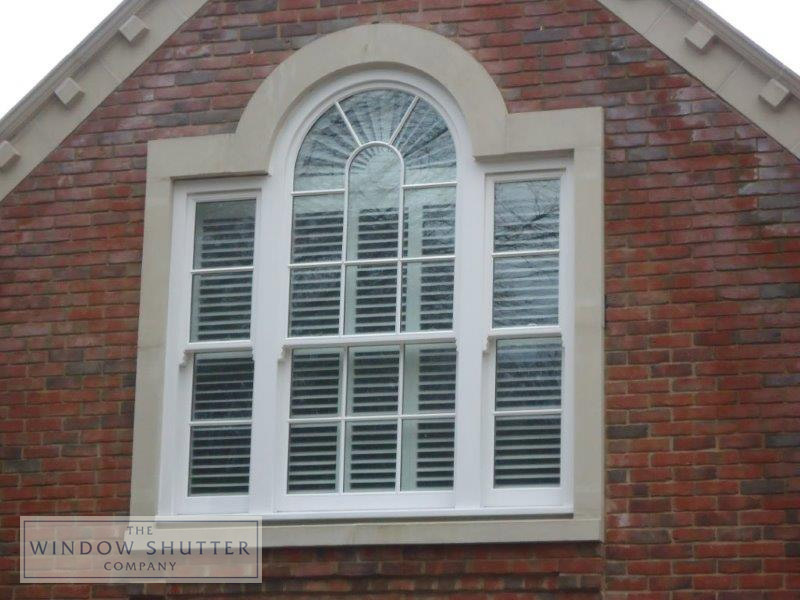 In terms of light closure, shutters will never create complete blackout, no window dressing can create this affect completely on its own. 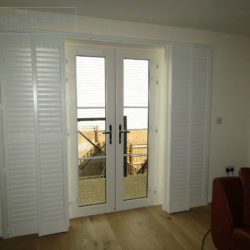 Shutters though are extremely effective in creating a good level of closure and making the room very dark indeed. 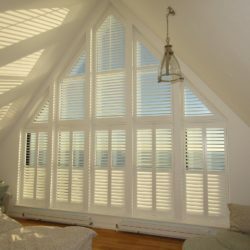 Our clients find that the level of light removed when the louvres are closed is ideal for a good night sleep and even for an afternoon nap in most cases. 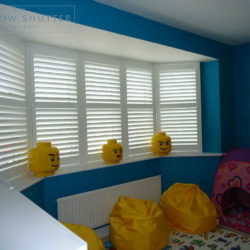 On some rare occasions, and in particular for those people who work shifts and sleep at different times, we do have some bespoke room darkening solutions. 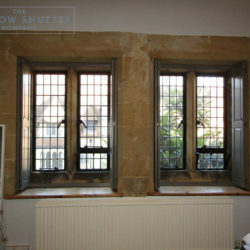 We may fit additional window dressings to create better closure during the day. 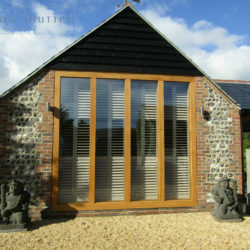 An additional blind can be installed behind the shutter which will create virtual night even on the sunniest of days. 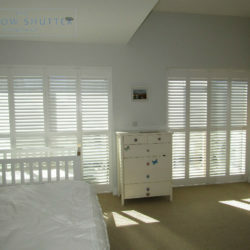 This may also be an option in small children’s rooms where early mornings or late summer evenings can break their routine (as we know from experience!). 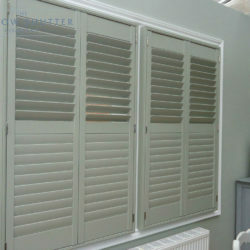 Alternatively, some clients like to complement their shutters with curtains as well to add colour to the room or soften the look that is achieved. 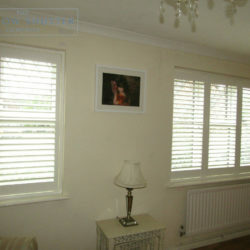 The added benefit of doing this is that the curtains can be drawn when required to add to the closure achieved by the shutters. 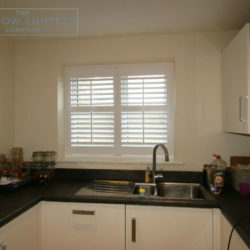 Another advantage of window shutters is the ventilation they can allow, when required, whilst still maintaining light closure. 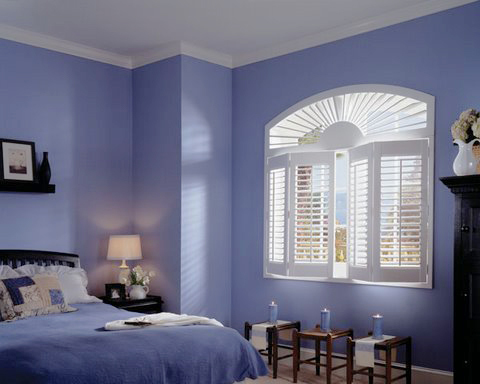 If a window is left open or ajar, the air will still circulate through the shutter without causing it to move, unlike curtains or blinds. 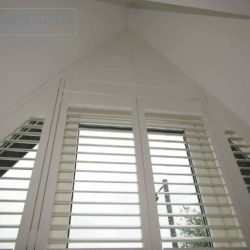 Ideal on hot evenings or even in winter to allow fresh air in whilst you sleep – the shutter will remain closed and stable throughout. 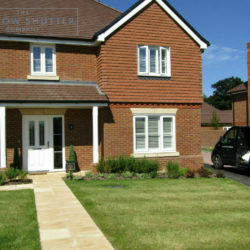 The overall look achieved with shutters is amazing and viewed from the curb, a house with all windows dressed in shutters is truly stunning. 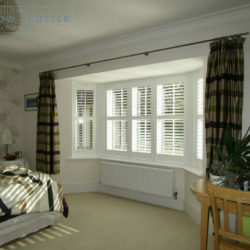 The flexibility and look of shutters will benefit every room and your bedroom will be no exception. 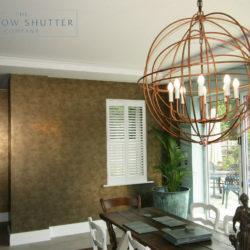 Contact us today and will be happy to show you a wide range of inspiring images and discuss your options during our FREE site visit and survey.